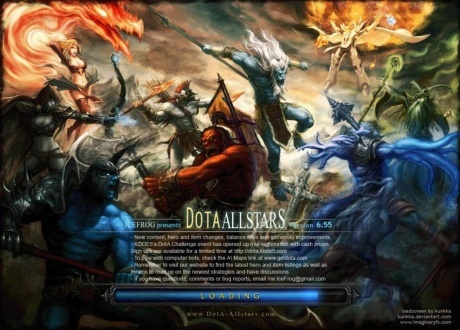 DotA Allstars 6.59 Released. Download Now. IceFrog already released DotA Allstars 6.59, he decided don’t wait too much time and do some important changes. But in this version we didn’t get 6.x9 traditional quest. IceFrog said he’ll add quest in 6.59b as well as some bugfixes and buffs/nerfs. This guide was written by Atze-Peng, thanks! 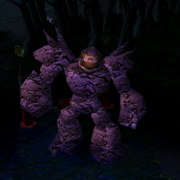 Authorcomment: This is my first guide for an DotA Hero. I really like Weaver and think, there isn’t a really good guide right now for him. That’s why i’m making this guide and hope this will be a good guide. My english isn’t the best. If you find any mistakes, which will be really much, tell me them by sending a private message. If you post the mistakes in this thread, it’ll become unclearly for me and for other user to read the replys in this thread. Anub’seran. The name of this creature strikes fear into all of those who have seen the Nerubians. Even the famed assassin Anub’arak is hesitant to fight this beast, which comes from the plane of the spirit world. He can swiftly walk through his enemies, bending their bodies to his will, causing pain while he strides through them. With his powers over the timeless plane, he can also step inside and throw himself into the past to keep himself from death. He can call an attack from the future to strike his foes, making his onslaught more deadly. Anub’seran. Only the fools do not fear his name. Twilight Tavern, in the right centre. Hotkey is “W”. 6. How to use your Abilities? Excellent survival mechanism. A well played Weaver is hard to kill. Raises an invisible Watcher from a corpse. Watcher does not have truesight, has 1 HP.Not magic immune. Level 1 – 2 maximum. Level 2 – 4 maximum. Level 3 – 6 maximum. Level 4 – 8 maximum.